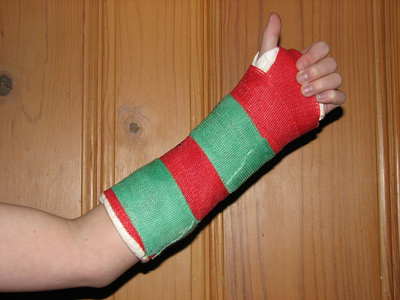 A broken bone is a serious injury even for an adult, let alone a child. Still, the world doesn’t end after such an injury. Although recovery can be long and difficult for a youngster, there are various ways in which you could make things easier. Here is short list of things that might be of assistance in helping your child cope with a broken bone. Even though every parent wants to be popular and therefore hates delivering bad news, it is your duty and obligation to do so. Just remember one thing, regardless of how much time you spend with your child you will always be their parent and not their sibling or friend, so act accordingly. Try to explain it to your kid, what and why just happened as well as what lies ahead. Even though you should always be thorough and honest , make sure to adjust some of these information to their age. Next, you need to set a clear list of dos and don’ts for your kid to follow until the recovery is complete. Even though a lot of things will be prohibited during this time, there will be so many activities your kid will be able to continue doing uninterrupted. Now, since they are just kids, even those most well-behaved ones will sometimes forget verbal rules, which is why it would be wise to make a graphic list and tape it somewhere on display. Better yet, include your child in this process with a drawing or even rule of its own. This will help them understand the list better as well as accept it easier. However, there is another enemy (apart from the injury) that your child will face during these troublesome weeks and the name of this enemy is boredom. Sure, computer or mobile device is one way to deal with this, but there are other appropriate games for your injured child as well. Depending on which bone is broken, arm or leg, your child will be able to rather enjoy kicking or catching games. If presented in the right way, this whole deal can, in a mind of a youngster, become nothing more than an adventure. 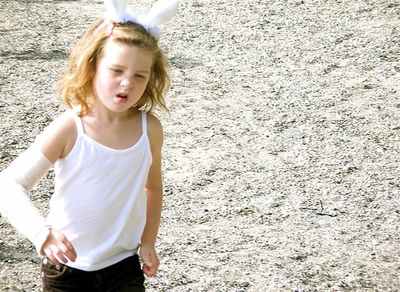 After the recovery is complete, your child may have to undergo a physical therapy. Sometimes this is done in a hospital with a team of medical experts. However, it is often better that this is done at home. With just a bit of will, parent can do some research on what needs to be done and even get all the necessary medical supplies from renowned Adelaide retailers. In this way, child will at least enjoy the comfort of their own home as well as work through this hardship with its parent rather than with strangers (regardless of how skilled they are). Naturally, this injury doesn’t fall hard only on child but on parent as well. Even though it may seem almost impossible at times, you will have to hold it together at least in front of them. At their moments of difficulty they often look up to you in trust. If you openly express your concern in front of them (even non-verbally) they will sense that something is off and start being scared. This is why a parent must learn how to cope with an injured child in the right manner. Look for some help or just for someone to talk to openly about everything that bothers you and you will feel better already. Even though it may not seem so at times, thing like this come and pass and although they may trouble you at present they may soon be forgotten. Just make sure that you are there for your kid and that you have a proper plan of action. All else will fall in place on its own.